Rough seas off the Thai city of Phuket have caused a tourist boat with 105 people on board to sink and prompted a major rescue operation. At least 33 Chinese nationals have died. The death toll in a boat accident off Thailand's southern coast has risen to at least 33, Thai authorities said Friday. The three-decker tourist vessel, the Phoenix, was carrying 105 passengers when it keeled over and sank near the holiday island of Phuket during a storm on Thursday afternoon. Dozens of bodies have since been recovered, with about 20 people still missing. All of the dead were Chinese nationals. 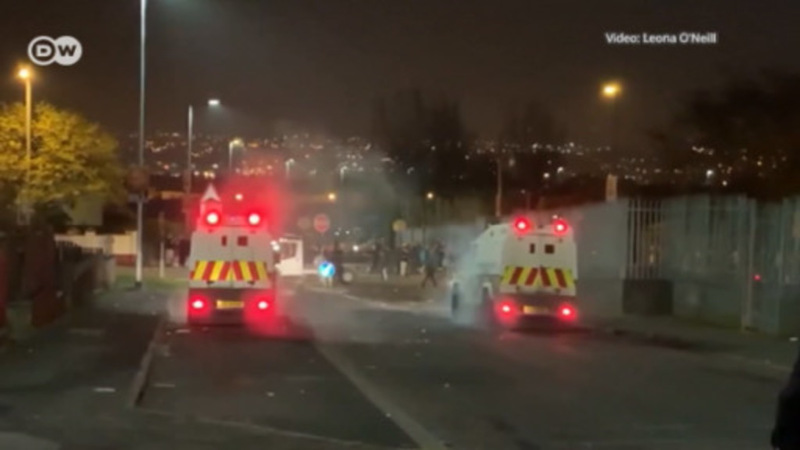 A search operation, suspended late Friday, was expected to resume at the weekend. Some 48 passengers and crew have been rescued so far. "Navy searchers found seven dead (on Friday morning)," Busaya Jaipiem, a spokeswoman for Phuket province said. The missing passengers are believed to have been trapped inside the Phoenix as it sank in the Andaman Sea. It is thought to be lying 40 meters below the surface off the coast of Koh He, a small island known for coral formations and day trips from Phuket. The Phoenix was returning to Phuket from the nearby island of Ko Racha when it encountered a storm at about 4 p.m. local time (0900 UTC) on Thursday, according to the ship's captain Somjing Boontham. When waves started flooding the vessel, causing it to slowly keel over, Somjing ordered life rafts to be inflated and instructed passengers to put on life jackets. "So I sent someone to them to wear life jackets... They were all Chinese visitors — apart from two farang," he said, using Thai slang for westerners. Several other boats in the area had also encountered difficulties and there were reports two passengers were unaccounted for from another ship. Thai television reported that 12 boats with a total of 263 passengers had docked on Thursday night at Racha island, about an hour from Phuket, to escape the weather. The storm has made landfall on Thailand's south coast, unleashing gusting winds and surging waves and causing one death. Officials, fearing it could be the worst storm in decades, evacuated thousands ahead of time. 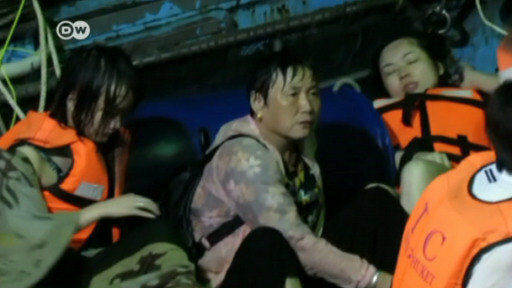 Dozens of people are missing after two tourist boats capsized off the Thai island Phuket. Authorities say high winds caused the vessels to overturn. Rescue workers pulled 48 people to safety, but another 49 are still unaccounted for.